sweat like becky: Last Day of School!! Penelope was wide awake and ready for school at 630am this morning. She had her lunch made, teeth brushed, backpack packed before Finley was awake. There are few things Penelope wakes up this early for these days but getting to wear pajamas on the last day of school ranks pretty high. Finley is not as eager for thd day to start because she doesn't want school to end. Finley loves school, loves her friends and especially loves her teacher. Her teacher is amazing and anyone at our school who has had her has loved her and those who never got their children taught by her are saddened by this. She is seriously amazing. I was hoping Penelope would get her next fall but she is retiring to spend more time with her grandchildren. She is definitely gong to be missed. Eventaully, we were able to get Finley out of bed and ready for school haha. 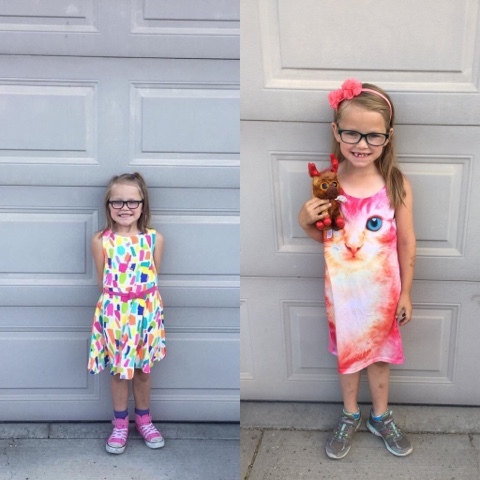 Penelope's first day of school in September on the left and her last day of Grade 1 on the right. Today is pajama and stuffy day and she was very excited about that. She wants to dominate the world of soccer and maybe do some singing. She loves school but not like Finley does so she is not overly sad that the school year is over. Penelope has grown a lot more then I realized judging at where her head lands at the garage door. 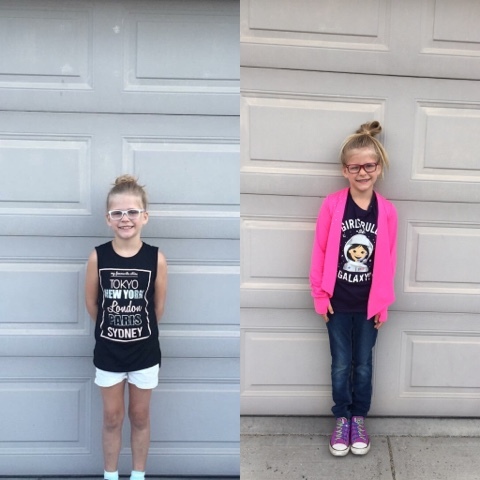 Finley on her first day of grade 2 on the left and on her last day on the right. She hasn't grown as much as Penelope it seems which leaves me hopeful that most of her jeans will still fit in the fall haha. She still plans on becoming an astronaut and to be a soccer star in her spare time. 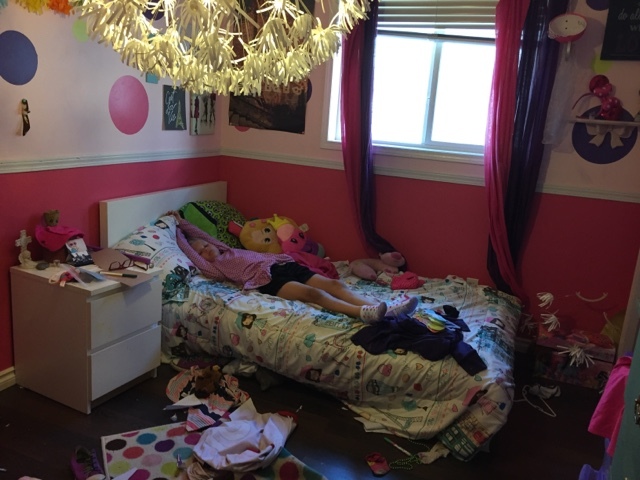 She is very sad that grade 2 is coming to an end and just cannot bring herself to think about grade 3 just yet. So much drama in this one haha. Tomorrow summer vacation officially starts and we will make our way to the mountains for a 4 day get away. We are so blessed to have found such a wonderful school for our girls to go to. I love everything about this school and even though we will have some big changes there come the fall, I truly believe it will be even better. Our school has such great students, teachers and parent volunteers and happy to be apart of such a great community.